If you’re sitting at your desk, at home – wherever and you need a pick me up – The Sweet Five is your hit. 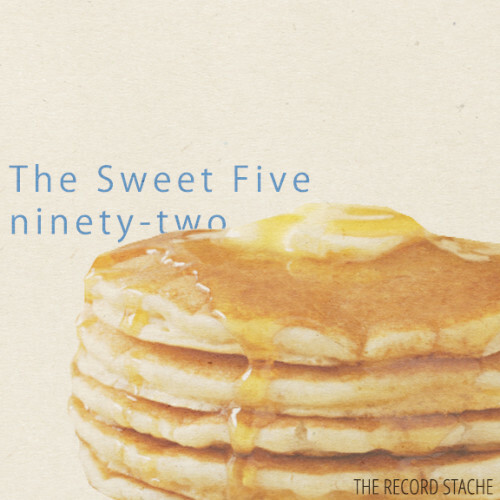 Whether you’re into the hippest of hops, or the indie-ist of rocks – The Sweet Five has music that will make your Grandma feel good about herself. The Sweetest Five tracks of the week are below! So Ella Henderson is eighteen years old, but has the voice of a 35 year old woman who has been singing the blues for fifteen years. Ella Henderson, finished sixth on X Factor Britain when she was sixteen. Ghost is a beautifully haunting song that wants to be on your rotate this week. Give this one a good go. George Ezra is a bit under the radar, but this song has rocketed him in to stardom. With a distinct sweet deep voice, Ezra combines a somewhat funky singer songwriter twist on all his tracks. Budapest is healthily catchy and has you humming along by the end. This post is becoming a hit of the youngsters, as Mendes is only fifteen years of age. What a remarkable voice for a child! I absolutely adore this song. The raw, emotional vocals really are a thing for me. Mendes has a massive career ahead of him if he keeps this up. I honestly only heard of Luluc yesterday, but this duo have really caught my attention with their up beat folk music. Really just soak it all up with your ears. Vance Joy was the second biggest break out artist in 2013 (only behind Lorde) for me. His EP ‘God Loves You When You’re Dancing’ was an incredible hit, and made me fall in absolute love with Joy. His debut album ‘Dream Your Life Away’ is due out in September, and I have already pre-ordered it on iTunes. This song is a wonderful piece of music. Here’s a bonus track for you! Consider it a guilty pleasure. Far Out Places is way too catchy to ignore. Just try shaking that guitar line out of your head after listening. Throw in the chorus, and you’ll be humming this one to yourself for a week.